In 1959, the United States military built Camp Century – a military camp situated deep under the northwestern Greenland Ice Sheet. 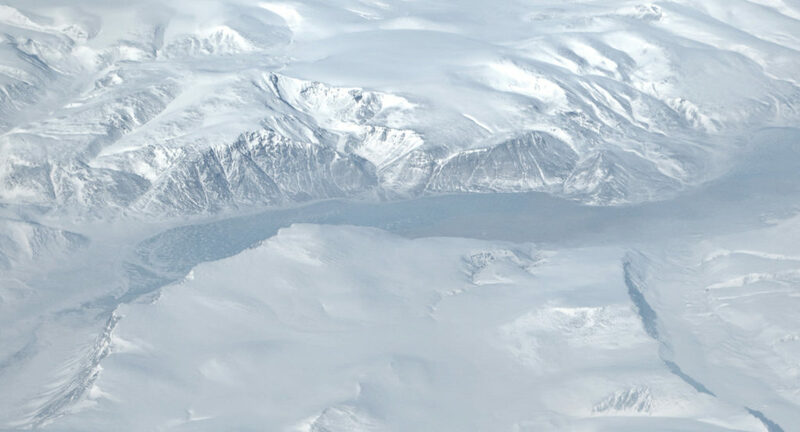 The military was in the region scouting possible nuclear missile launch sites in the Arctic. When the Cold War-era camp shut down in 1967, staff left fuel and low-level radioactive coolant there – among other things – assuming it would be preserved for eternity by the perpetually accumulating snowfall. Fast forward to today. Scientists say the radioactive waste, which is currently entombed some 115 feet down, could be released if the regional thaw continues to spread in the coming decades. They say the part of the ice sheet covering the camp could start to melt by the end of the century if the warming trends continue. According to researchers, more than 9,000 tons of material remain down there spread over an area of about 100 football fields, including buildings, railways, 52,000 gallons of diesel fuel, an unknown amount of toxic polychlorinated biphenyls (or PCBs), and an unknown amount of radioactive coolant. If allowed to re-enter the environment, this could devastate surrounding ecosystems. That’s the solution down the road, unless of course we can slow this global warming trend. Photo, posted March 31, 2014, courtesy of Wasif Malik via Flickr. ‘Climate Change And Radioactive Waste’ from Earth Wise is a production of WAMC Northeast Public Radio.